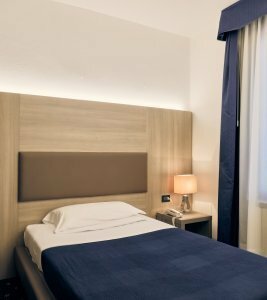 Hotel Roberta, a hotel open all year round located in Venice Mestre, has 36 pleasant, bright rooms on two floors, two of which on the ground floor are equipped for the disabled. The rooms have a private bathroom with a shower and hairdryer. 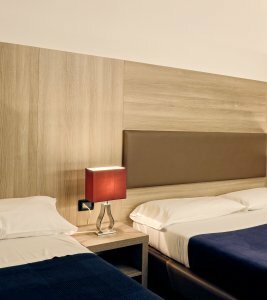 As well as the twin rooms, triple and quadruple rooms are available on request and are ideal for families. 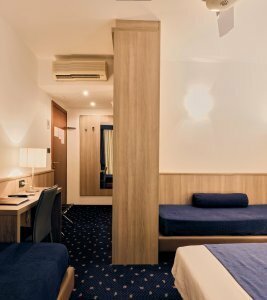 The rooms are equipped with all modern comforts: satellite TV, electronic safety deposit box, air conditioning and a direct line telephone. Room service is available on request. 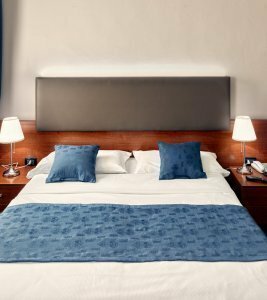 The entire hotel is covered with a wireless system which allows guests to connect to Internet using their laptops from anywhere in the building, their room or in the hall or breakfast room. The hotel also offers an Internet point.